Norway Built is your local Four Seasons Sunrooms dealer, installing sunrooms to match your home's architecture and your lifestyle. A new sunroom addition can give you a place to relax and entertain without having to worry about the weather. Each sunroom design comes in a variety of sizes, roof and frame finishes, door choices and many other features. Your sunroom installation will also include a fully transferable lifetime limited glass warranty. If you're interested in a sunroom addition, call us at 1-844-387-6938 or click below to schedule a free in-home consultation and estimate today! 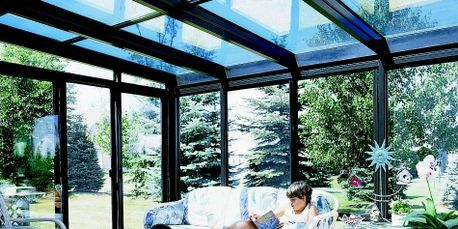 Patented glass technology helps keeps you comfortable, even on the hottest summer day or chilliest winter night. 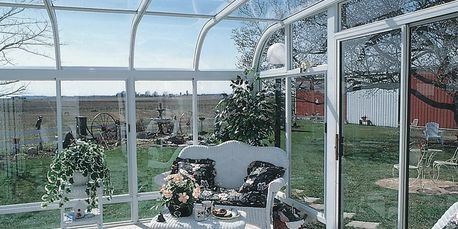 When properly installed, our sunrooms are guaranteed to be leak-free. Can be customized with your choice of window and door styles, including sliding, casement, awning or fixed windows and sliding, french, or single swing doors. Straight eave sunrooms offer a simple, subtle design for a seamless addition to your home. Our patio enclosure models include traditional and contemporary designs, with finished aluminum exteriors and interiors, and even natural wood interior beams in some styles. Choose a Sun and Shade glass sunroom (with a solid, insulated roof) or a Sun and Stars glass sunroom (with a CONSERVAGLASS SELECT roof). Curved eave sunrooms> feature graceful lines and elegant symmetry to complement your home's existing roofline for a polished, finished look. Select a solarium with a slim, contemporary aluminum profile, or one with the warm natural feel of Northern White Pine beams. Whatever your style, a Four Seasons curved eave solarium will blend beautifully with your home. Cathedral sunrooms feature dramatic use of light and space to add a unique new design to your home. The vaulted ceiling and CONSERVAGLASS SELECT walls combine to offer style and comfort in equal measure. Our cathedral glassrooms feature a front peaked wall that welcomes light and extends your outdoor views, while creating an airy, spacious feel within. 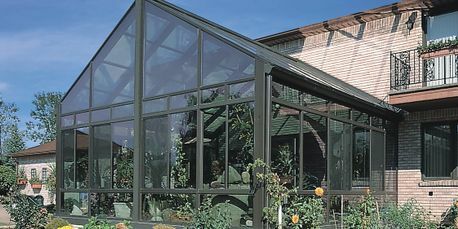 Conservatories combine classic architectural designs with maintenance-free and energy efficient benefits. Choose from ornate Victorian sunroom styles or stately Georgian sunroom models, in a broad selection of sizes and formats, from intimate retreats to opulent pool enclosures. Enjoy the outdoors year-round: Enjoy the benefits of an outdoor living area year-round without inclement weather, pests, or other intrusions. Add space and natural light: Sunroom additions are an easy way to add space to your home – not just for special occasions, but every day! Less mess and more affordable than a traditional addition: Unlike traditional "brick and mortar" additions, a sunroom addition can be built quicker and with less disruption to your life and home. Schedule your free in-home sunroom design consultation today! Improve your quality of life with a spacious Four Seasons sunroom addition. 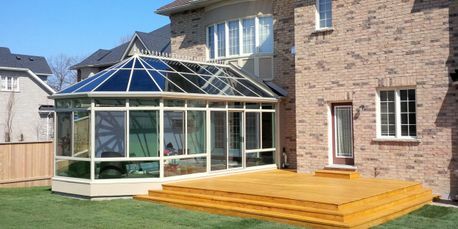 Norway Built is your local, professional sunroom installation contractor in Downers Grove, Naperville, Plainfield and the surrounding areas. Contact us today to schedule your free, no-obligation design consultation at your convenience. Take advantage of low-interest financing to make your dream room more affordable than ever - call for details!